Sathyanathan Jayatheerthan is a disciple of Thiruvarpu Sri N S Jayaprakash. After being an active student of music for 18 years, he started playing stage concerts as an accompanying artist. Besides violin, Sathya has been specializing in Dasa Sahitya (vocals) the last few years. Akshay Venkatesan is a disciple of Sri Ramesh Srinivasan (Sarvalaghu Percussion Arts Center, San Jose, CA). He had his mridangam arangetram in 2013 at Tattvaloka, Chennai accompanying Sri. Chitravina N. Ravikiran on Chitravina, Dr. Karthick on Ghatam and Kum. Akkarai Subhalakshmi on Violin. Akshay has been a regular at the Cleveland Tyagaraja Aradhana and other musical events and in accompanying artists in the bay area the last four years. Akshay is in 7th grade at Chaboya middle school and plays tennis, basketball, as well as saxophone in his school band. Gautham Viswanathan is a disciple of Sri Ramesh Srinivasan. He has participated in Tala Vadya program conducted by Sarvalaghu Percussion Arts Center and in the 2014 Cleveland Carnatic symphony program. Gautham lives in Chennai, where he is a 7th Grade student at KFI. He enjoys science, video games, chess and basketball. Arun Anand Natarajan, a self-taught musician, is a resident of SF bay area. He started playing the keyboard from a very young age and has been driven by an interest to explore carnatic music with the western instrument. 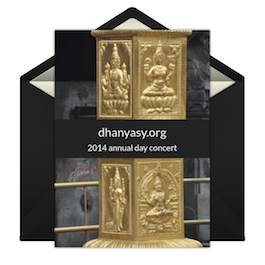 He has accompanied many young artists on stage, in carnatic music events. 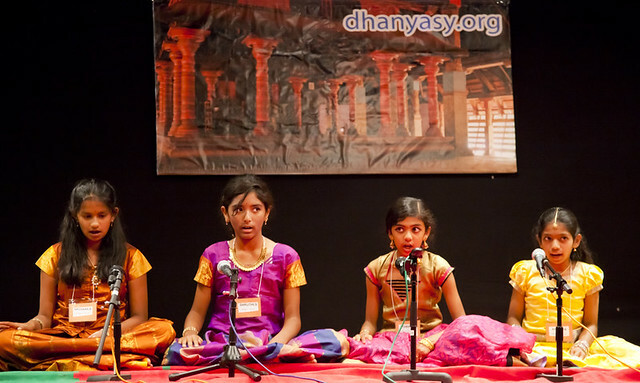 Vani Ramadoss is a carnatic music enthusiast and a parent volunteer from the dhanyasy.org SF bay area students community. Click here for directions to Shirdi Sai Center.